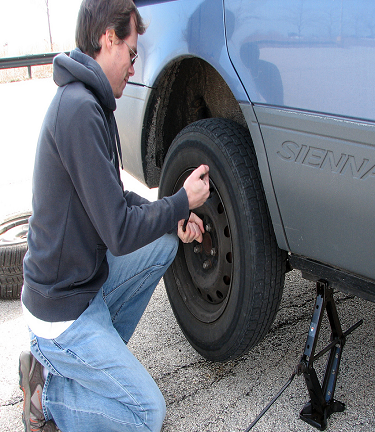 ​While everyone eventually gets a lesson on tire changing, it isn’t always an option out on the road. No matter how many instructions you received on how a tire change should go, you never experience a flat close to home. Whether you’re on the 495, in a parking lot, had your wheels slashed, or other experiences, you need help right away. When you don’t have a car jack, spare tires, or safe conditions, however, it can feel hopeless quickly. When you hire the tow driver experts at Wilmington Towing & Roadside Assistance, it means superior service for less every day. We exchange more tires and haul a variety of vehicles throughout the Wilmington, DE, 24-hours daily. No matter when or where you choose our assistance, we guarantee a better service call each time. You don’t need to feel all alone when we remain here for your tire change Wilmington solutions. ​While swapping out one wheel for another doesn’t seem like such a challenge, it doesn’t take much to make matters complicated. Awful weather conditions, dangerous drivers, highway speed limits and more all make it too hazardous for you to handle. Even if you’ve changed dozens of tires in your lifetime, it only takes one moment for disaster to strike. Rather than putting yourself in harm’s way, we always provide a better solution every day. Our drivers make short work of any wheels, even when it seems like the lug nuts stay frozen in place. ​We’ll have the damaged tire off and a new one ready to use in a fraction of the time. When you need faster responses and arrivals and affordable service options, you won’t find a more qualified company than ours. See why we stay your trusted choice in total towing services today. ​Although everyone knows that they should have a spare tire waiting for them in their trunk, the average drivers remain unprepared. Or, perhaps they purchased one years ago, and now it’s entirely deflated. ​Other people may find out the hard way that the wheel that they had bought isn’t compatible with their vehicle model. From odd tire sizes to missing car jacks, there are plenty of things that can, and will, go wrong. Our team offers dependable service throughout the city, helping more drivers in getting home faster each time. 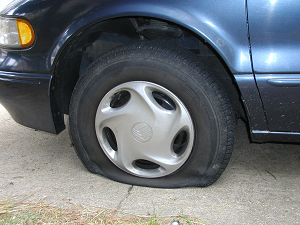 ​If we can’t, for whatever reason, get a new tire on for you, we’ll just tow you somewhere that can. When you need experienced professionals ready to assist you at a moment’s notice, just call us first. We guarantee a safer, more reliable service each time you need our help. When you have half of a cell bar, it isn’t simple to search online for “tire change near me” services. That is why we do our best to let you know you can always count on us 24-hours every day. Your parents may have made the process seem simple before, but that was ages ago in your garage. Rather than try and make the exchange in treacherous conditions, you can call us for better results. Having a flat tire doesn’t need to ruin your day. Call us now at Wilmington Towing & Roadside Assistance for fast and affordable service.